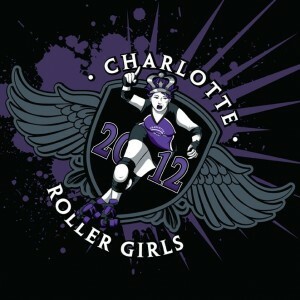 The Charlotte Roller Girls are pleased to inform you that 2012 season tickets are now available for online purchase. For the truly dedicated fan, we are offering a 2012 Season Ticket pass, which gives you access to all 7 CLTRG home bouts. With 5 double header events scheduled this season, you get 12 hard-hitting, action-packed games for the price of 6! Season tickets are available for a limited time only, so buy yours today! Individual game tickets are also available for advanced purchase. 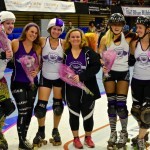 Single game tickets can be purchased in advance for any Charlotte Roller Girl home game online. Single game tickets will also be available at one of our approved vendors, including The Common Market, Sleepy Poet Antique Mall, The Last Word, and Tutti, or from your favorite CLTRG skater in the weeks leading up to each individual game. Advanced ticket prices are $6 for children (age 6-12) and $10 for adults. Group rates are also available when purchasing 10 or more tickets at a time. Season passes are sold exclusively online for $60 each and will be available until March 15th. admittance to all 7 CLTRG home bouts- 12 games for the price of 6! *Available while supplies last. Size availability not guaranteed. 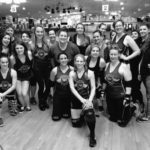 This season CLTRG will also host their first scrimmage-a-thon, and most importantly, their first international bout. 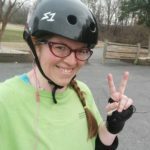 The home season will begin on March 17th and run through September 22nd. CLTRG will hit the track against opponents from Tallahassee (FL), Greensboro (NC), Johnson City (TN), Roanoke (VA), Christiansburg (VA), Atlanta (GA), Asheville (NC), Harrisonburg (VA) and Cardiff (Wales, United Kingdom). I’ve recently purchased a season ticket for myself but I do have a question, how do I choose my tshirt size? Thanks! Hi Lisa! You can get your t-shirt from the merchandise booth at our first game on March 17th. We can’t guarantee the size though. We look forward to seeing you at the bouts.